CHENNAI -The Corporation’s Rs. 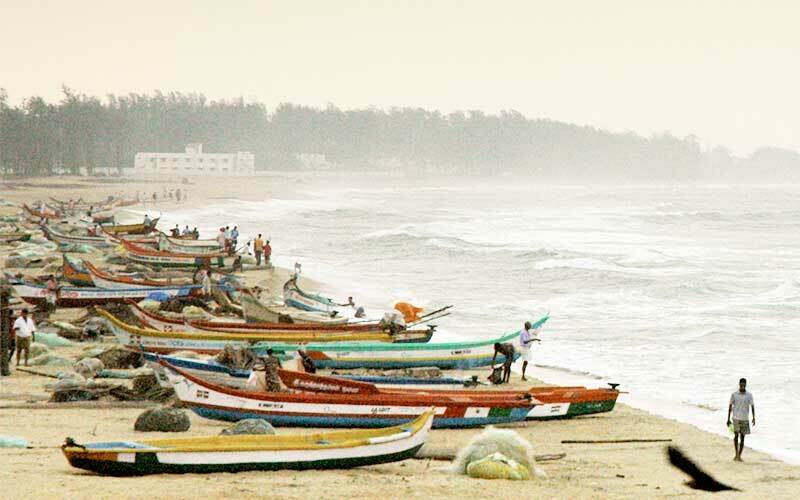 55 crore beach beautification plan has run afoul of the Chennai fisherfolk who said the project eats into their livelihood spaces and violates the CRZ Notification. The fisherfolk made it clear that no further diversion of beach spaces used for livelihood would be permitted until a comprehensive Coastal Zone Management Plan incorporating their customary land uses and a long-term fisher housing plan was prepared as per the CRZ Notification, 2011. Countering the Corporation’s claims about public consultation, the fishers said that neither the Fisheries Department, nor the village or fisher cooperative society administration had any knowledge about the project until they were informed by an NGO recently. According to the fishers, who had analysed a copy of the Draft Detailed Project Report, more than 3.6 acres of beach sand in Kottivakkam, Palavakkam and Neelangarai will be built over to create parking lots, tennis courts and yoga platforms. These areas are vital livelihood spaces, as fishermen use it for hauling the shoreseine nets and for mending and drying nets, they said. In Neelangarai and Kottivakkam, community structures like toilets and volleyball courts are also being taken over. The project’s proposal to restrict boat parking to a small beach stretch in front of each village’s residential area has not gone down well with the fisherfolk. â€œBoats cannot be parked within such a small stretch. Boat parking space of each village always extends beyond the residential area but stays within the boundaries of customary land-use by fishers from that village,â€ said K. Saravanan of Coastal Resource Centre. Pointing to a 26 cent beach area in Chinna Neelangarai where various constructions are proposed, the fisher representatives said that the plot was less than 10 metres from the High Tide Line. Any construction in this plot would be in clear violation of the CRZ rules, they said. They pointed out that Chennai Corporation and the CMDA have turned a blind eye towards blatant violations by farmhouses and resorts along the Chennai Coast. Given the number of violations and future development plan on beach areas, the total land available for use by the traditional communities will be lost and all prospects for future long-term housing will be harmed, they said. Referring to a July 2011 directive by the State Coastal Zone Management Authority to the Corporation to identify and act against CRZ violations, the fishers pointed out that no progress had been made on this task. Fisher representatives from various hamlets in Chennai addressed the press conference organised by Coastal Resource Centre of The Other Media. For more information, contact: K. Saravanan: 9176331717.